Introduction. Women with infertility and circulating antiphospholipid antibodies (APA) may be at risk of reproductive losses. A possible way to improve their in vitro fertilization (IVF) outcomes is the immunomodulating therapy using intravenous immunoglobulin (IVIG). Aim: to study the effecacy of IVIG in women with APA who undergo IVF (IVF/ICSI). Materials and methods. One hundred twenty eight APA-positive women were enrolled: 77 women were given IVIG during the IVF procedure at a course dose of 15 g (group 1), 55 women received no IVIG (group 2) and 63 women without APA scheduled for IVF made up the control group (group 3). Women in groups 1 and 2 received prophylactic doses of low weight heparins and reduced doses of acetylsalicylic acid. Women with poor quality embryos were excluded. The implantation rate (positive serum β-HCG), the clinical pregnancy rate (gestational sac and fetal heartbeat) and the live birth rate were used as the endpoints. Results. There were no differences in the implantation rate between groups 1, 2 and 3 (48.39%, 35.71% and 32%, respectively; p > 0.05). The clinical pregnancy rate was significantly higher in group 1 than in group 2 (45.16% and 21.43%; p < 0.05), in group 3 that was 32%. The difference in the live birth rate was not significant (33.3%, 19.05% and 24%; p > 0.05). Among women who received IVIG within the IVF (IVF/ICSI) protocol and during the subsequent pregnancy (prior to 12 weeks), the the live birth rate was 83.3% (15/18), which was 33,3% higher (p > 0.05) than for women who received IVIG only within the IVF (IVF/ICSI) – 50% (6/12). Conclusion. The use of IVIG in APA-positive women undergoing IVF (IVF/ICSI) significantly increases the clinical pregnancy rate, but does not increase the implantation rate and the live birth rate. Further studies are needed to evaluate the efficacy of IVIG within the IVF (IVF/ICSI) protocol and the continued therapy during pregnancy. Krivonos Marina Ivanovna – post-graduate student. Zainulina Marina Sabirovna – MD, Professor, Department of Obstetrics, Gynecology and Reproduction, I.P. Pavlov FSPb SMU HM of RF; Physician-in-Chief, V.F. Snegirev Maternity Hospital № 6. Kornyushina Ekaterina Amirovna – PhD, Senior Researcher, Department of Pregnancy Pathology. Chepanov Sergey Vladimirovich – doctor of Clinical Laboratory Diagnostics, Department of Immunology and Intercellular Interactions. 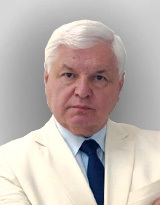 Selkov Sergey Alekseevich – MD, Professor, Honored Scientist of RF, Head of Department of Immunology and Intercellular Interactions. 1. Miyakis S., Lockshin M.D., Atsumi T. et al. International consensus statement on an update of the classification criteria for definite antiphospholipid syndrome (APS). J Thromb Haemost. 2006; 4 (2): 295-306. 2. Agenor A., Bhattacharya S. Infertility and miscarriage: common pathways in manifestation and management. Womens Health (Lond). 2015; 11 (4): 527-41. 3. Coulam C.B., Roussev R. Chemical pregnancies: immunologic and ultrasonographic studies. Am J Reprod Immunol. 2002; 48 (5): 323-8. 4. Birkenfeld A., Mukaida T., Minichiello L. et al. Incidence of autoimmune antibodies in failed embryo transfer cycles. Am J Reprod Immunol. 1994; 31: 65-8. 5. Cervera R., Balasch J. Bidirectional effects on autoimmunity and reproduction. Hum Reprod Update. 2008; 14 (4): 359-66. 6. Zou S.H., Yang Z.Z., Zhang P. et al. Autoimmune disorders affect the in vitro fertilization outcome in infertile women. Zhonghua Nan Ke Xue. 2008; 14 (4): 343-6. 7. Zhong Y.P., Ying Y., Wu H.T. et al. Impact of Anticardiolipin Antibody on the Outcome of In Vitro Fertilization and Embryo Transfer. Am J Reprod Immunol. 2011; 66 (6): 504-9. 8. Mashkova T.Ya. Thrombophilia and failure of IVF [Trombofilii i neudachi EKO]. Akusherstvo, ginekologiya i reprodukciya. 2015; 9 (3): 17-21 (in Russian). 9. Stuleva N.S., Khizroeva D.Kh., Mashkovа T.Ya., Abramyan G.R. Circulation of antiphospholipid antibodies and IVF failures [Cirkulyaciya antifosfolipidnyh antitel i neudachi EKO]. Akusherstvo, ginekologiya i reprodukciya. 2015; 9 (3): 6-10 (in Russian). 10. Sanmarco M., Bardin N., Camoin L. et al. Antigenic profile, prevalence, and clinical significance of antiphospholipid antibodies in women referred for in vitro fertilization. Ann NY Acad Sci. 2007; 1108: 457-65. 11. Sauer R., Roussev R., Jeyendran R. et al. Prevalence of antiphospholipid antibodies among women experiencing unexplained infertility and recurrent implantation failure. Fertil Steril. 2010; 93 (7): 2441-3. 12. Nisio M. Di., Rutjes A.W.S., Ferrante N. et al. Thrombophilia and outcomes of assisted reproduction technologies: a systematic review and meta-analysis. Blood. 2011; 118 (10): 2670-8. 13. Hornstein M.D., Davis O. K., Massey J.B. et al. Antiphospholipid antibodies and in vitro fertilization success: a meta-analysis. Fertil Steril. 2000; 73 (2): 330-3. 14. Practice Commitee of American Society for Reproductive Mdicine. Anti-phospholipid antibodies do not affect IVF success. Fertil Steril. 2008; 90 (5 Suppl): S172-3. 15. Averchenkov V.M., Plagin I.S. Intravenous immunoglobulins: mechanisms of action and the possibilities of clinical application [Vnutrivennye immunoglobuliny: mekhanizmy dejstviya i vozmozhnosti klinicheskogo primeneniya]. Klinicheskaya mikrobiologiya i antimikrobnaya himioterapiya. 2004; 6 (3): 273-81 (in Russian). 16. Sewell W.A.C., Jolles S. Immunomodulatory action of intravenous immunoglobulin. Immunology. 2002; 107 (4): 387-93. 17. Kessel A., Ammuri H., Peri R. et al. Intravenous immunoglobulin therapy affects T regulatory cells by increasing their suppressive function. J Immunol. 2007; 179 (8): 5571-5. 18. Alijotas-Reig J. Treatment of refractory obstetric antiphospholipid syndrome: the state of the art and new trends in the therapeutic management. Lupus. 2013; 22 (1): 6-17. 19. Ruffatti A., Favaro M., Brucato A. et al. Apheresis and intravenous immunoglobulins used in addition to conventional therapy to treat high-risk pregnant antiphospholipid antibody syndrome patients. A prospective study. J Reprod Immunol. 2016; 115: 14-9. 20. Tenti S., Cheleschi S., Guidelli G.M. Intravenous immunoglobulins and antiphospholipid syndrome: How, when and why? A review of the literature. Autoimmun Rev. 2016; 15 (3): 226-35. 21. Watanabe N., Yamaguchi K., Motomura K. et al. Combination therapy with anticoagulants, corticosteroids and intravenous immunoglobulin for women with severe obstetric antiphospholipid syndrome. Clin Exp Rheumatol. 2014; 32 (2): 299-300. 22. Selkov S.A., Zainulina M.S., Chugunova A.A. et al. Clinical and immunological substantiation of the use of immunoglobulins for intravenous administration in the treatment of antiphospholipid syndrome in pregnancy [Kliniko-immunologicheskoe obosnovanie ispol'zovaniya immunoglobulinov dlya vnutrivennogo vvedeniya v lechenii antifosfolipidnogo sindroma pri beremennosti]. Zhurnal akusherstva i zhenskih boleznej. 2012; LXI (2): 5-11 (in Russian). 23. Chugunova A.A., Zainulina M.S., Selyutin A.V., Selkov S.A. Influence of immunomodulating therapy on clinico-laboratory indicators of pregnant women with miscarriages and antiphospholipid syndrom [Vliyanie immunomoduliruyushchej terapii na kliniko-laboratornye pokazateli beremennyh s nevynashivaniem i antifosfolipidnym sindromom]. Zhurnal akusherstva i zhenskih boleznej. 2011; LX (3): 152-60 (in Russian). 24. Chugunova A.A., Zainulina M.S. The content of the main subpopulations of immunocompetent cells in pregnant women with miscarriages and antiphospholipid syndrome in the treatment of immunoglobulin preparations [Soderzhanie osnovnyh subpopulyacij immunokompetentnyh kletok u beremennyh s nevynashivaniem i antifosfolipidnym sindromom pri lechenii preparatami immunoglobulinov]. Akusherstvo i ginekologiya. 2012; 2: 30-5 (in Russian). 25. Chepanov S.V., Sokolov D.I., Shlyakhtenko T.N. et al. Experimental substantiation of endothelioprotective effect of immunoglobulins for intravenous administration in obstetric pathology [Eksperimental'noe obosnovanie ehndotelioprotektivnogo effekta immunoglobulinov dlya vnutrivennogo vvedeniya pri akusherskoj patologii]. Akusherstvo i ginekologiya. 2016; 5: 82-9 (in Russian). 26. Sher G., Zouves C., Feinman M. et al. A rational basis for the use of combined heparin/aspirin and IVIG immunotherapy in the treatment of recurrent IVF failure associated with antiphospholipid antibodies. Am J Reprod Immunol. 1998; 39 (6): 391-4. 27. Virro M.R., Winger E.E., Reed J.L. Intravenous Immunoglobulin for Repeated IVF Failure and Unexplained Infertility. Am J Reprod Immunol. 2012: 68 (3): 218-25. 28. Sher G., Feinman M., Zouves C. et al. High fecundity rates following in-vitro fertilization and embryo transfer in antiphospholipid antibody seropositive women treated with heparin and aspirin. Hum Reprod. 1994; 9 (12): 2278-83. 29. Moraru M., Carbone J., Alecsandru D. et al. Intravenous immunoglobulin treatment increased live birth rate in a Spanish cohort of women with recurrent reproductive failure and expanded CD56(+) cells. Am J Reprod Immunol. 2012; 68 (1): 75-84. 30. Coulam C.B., Goodman C. Increased pregnancy rates after IVF/ET with intravenous immunoglobulin treatment in women with elevated circulating C56+ cells. EarlyPregnancy. 2000; 4 (2): 90-8.